Notes on Three Happy Hypocrites is a new essay in Again, A Time Machine: From Distribution to Archive. 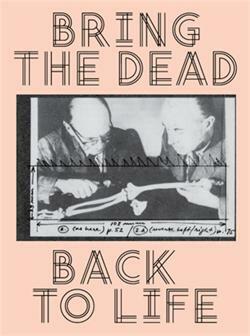 Playing with time and words, and structured around the confluence of archive and distribution, this book presents an assemblage of material that extends Book Works’ touring exhibition. Contributions include artists’ pages, exploratory interviews, new writing, and – specifically engaging with the circuits of practice that have materialised in the form of books, writing, magazines, language, spoken word, performative research and archival practice – a range of publisher and project space responses to the questions: Why Distribute? Why Archive? Contributors include: A Estante, An Endless Supply, AND, Banner Repeater, Claire Makhlouf Carter, Eastside Projects, Maria Fusco, Dora García, Melissa Gronlund, Sam Hasler, Stewart Home, Ian Hunt, Jonathan Monk, Apexa Patel, Mark Pawson, Bridget Penney, Pil & Galia Kollectiv, Plastique Fantastique, Sarah Pierce, Laure Prouvost and Rory Macbeth, Publish And Be Damned, John Russell, Slavs and Tatars, Spike Island, Barry Sykes, The Serving Library, The Showroom, Torpedo, Ubuweb, Marina Vischmidt, McKenzie Wark, White Columns and X Marks the Bökship.